Edgar® Award-winning and New York Times bestselling author C.J. 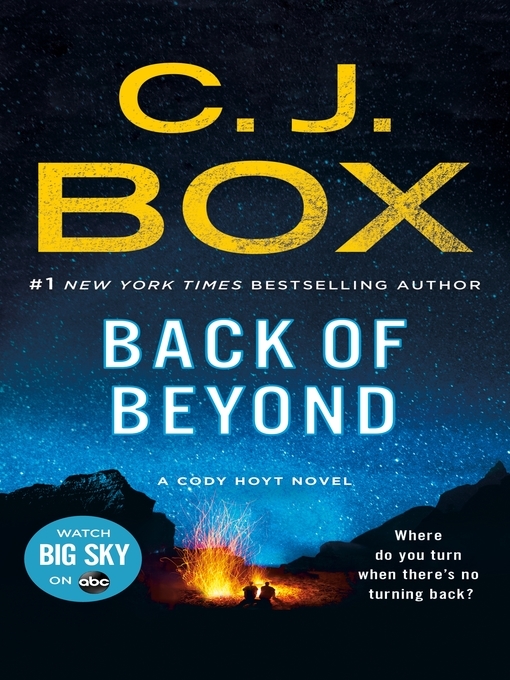 Box delivers a thriller about a troubled cop trying to save his son from a killer in Yellowstone. Cody Hoyt, while a brilliant cop, is an alcoholic struggling with two months of sobriety when his mentor and AA sponsor Hank Winters is found burned to death in a remote mountain cabin. At first it looks like the suicide of a man who's fallen off the wagon, but Cody knows Hank better than that. Sober for fourteen years, Hank took pride in his hard-won sobriety and never hesitated to drop whatever he was doing to talk Cody off a ledge. When Cody takes a closer look at the scene of his friend's death, it becomes apparent that foul play is at hand. After years of bad behavior with his department, he's in no position to be investigating a homicide, but this man was a friend and Cody's determined to find his killer. When clues found at the scene link the murderer to an outfitter leading tourists on a multi-day wilderness horseback trip into the remote corners of Yellowstone National Park--a pack trip that includes his son Justin--Cody is desperate to get on their trail and stop the killer before the group heads into the wild. Among the tourists is fourteen-year-old Gracie Sullivan, an awkward but intelligent loner who begins to suspect that someone in their party is dangerous. In a fatal cat and mouse game, where it becomes apparent the murderer is somehow aware of Cody's every move, Cody treks into the wilderness to stop a killer hell bent on ruining the only thing in his life he cares about. Back of Beyond is a Kirkus Reviews Best of 2011 Mysteries title.